179 Bridport Road is centrally located within Poundbury, close to the Buttercross Square retail area. Other occupiers in close proximity include YARD, Bella Kitchens, Poundbury Cycle Sports, Finca and Hardy Barbers. 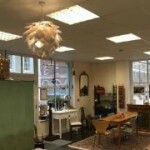 The property comprises a lock up retail/studio/office ideally suited for a variety of uses. 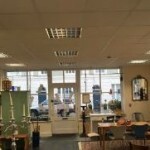 The property has most recently been used as a retail showroom and is fitted out accordingly. There is a single private car space within the rear courtyard. The accommodation is currently partitioned to provide a main retail area with a partitioned store/kitchen at the rear. A new flexible lease is offered. The ingoing tenant will be required to make a contribution towards the landlord’s reasonable legal costs, pay a deposit and provide satisfactory bank references. For further information please contact the Sole Agents, Chesters Commercial Ltd.